This isn’t a movie review blog. I don’t want to make a habit of this. But I really feel the need to unburden myself after living in delighted expectation of “the movie event of the year” (as if there’s ever only one) and then having to sit through three hours of absolute tripe as my hopes died, torn apart by my ravaging frustration at a talented director getting it OH SO WRONG! I’ll start with the general stuff, and then anyone who doesn’t want spoilers can depart and come back after they’ve read the book or seen the movie or both. No, actually, if you haven’t read the book, leave now. Spoilers abound. For those that have, I’ll try and avoid spoiling the movie for the first bit. Peter Jackson has proven that he’s a good director. Heavenly Creatures was a marvellous movie that linked fantasy and reality in a feast of visual and imaginative delight. Dead/Alive was gory and funny and very well written. And King Kong . . . But even so. He has a great concept of space and the epic. He knows how to elicit emotions from his actors and the audience. His pacing is always good (except maybe for King Kong) and there is no way that he should have been able to screw up The Hobbit. Jackson’s Hobbit, how did I hate thee? Let me count the ways. I think I read an interview with Jackson, where he was overjoyed at being able to work with “all the old gang” again, and I winced. And then we saw trailers of the movie with Galadriel, and I thought “well, ok, it’s a stretch, but it might have happened”. And the cast list included Elijah Wood and I decided that a little introduction at the start might be deemed necessary for the uneducated masses who didn’t know that the movies were also books and needed some linking. Which is what they did. And it was terrible, and boring, and didn’t add anything to the movie, but there you go. As I said, maybe the studio demanded it. And once that bit was out of the way and the story started properly, I was quite happy with Gandalf and Bilbo and a stack of dwarves. And they sang the songs, and I relaxed, because I had hoped that the songs would be a big part of the movie. And if they changed a couple of story points, then that wasn’t too bad, but I was starting to be a little nervous. Let me back up a bit, because you know that that’s what I do. When the old Bilbo (from LOTR) is sitting there writing his little book, and Frodo wandered in and made some twee comments, all I could think was “This looks fake!” I was wondering whether it was because we were watching the movie in 48 fps, in 3D. Everything looked like it was on a sound stage. The hobbit hole was too clean and incredibly fake. Frodo looked like he was lit badly and in front of a green-screen half of the time. Any time there was footage of people talking to each other, in caves or houses or on rocky outcrops, my mind was screaming “Made-for-tv movie! Made-for-tv movie!” And so, as my first confession: it could be that the combination of a high frame rate and 3D technology killed the movie for me. And if that’s so- no, there’s no excuse. Jackson chose to use these technologies and probably saw rushes and dailies and test screenings and all sorts of other footage. There is no way he could have watched this movie and thought “yeah, that looks real.” I was never really in the action. Never allowed to let myself believe I was in Middle Earth. And that killed the movie for me. They were filming in New Zealand for Bob’s sake! A land full of rocky landings and lovely caves. Natural backdrops and fantasy settings. Why did everything look like it was made out of Styrofoam? As I’ve mentioned before, I’ve been reading The Hobbit to my 8yo daughter. My niece has been reading it. They’ve both loved it from start to finish. I read it myself when I was in Grade 2. These kids should be able to go and see a movie based on a book written for children. Oh, I hate swearing in a blog, but I am so angry right now! Oh, and this is where I’ll probably make some comments on stuff that happened in the movie, so if you want to remain completely spoiler free, run away now. At some point, it came out that Jackson was making the two movies into three, using “unreleased source material and indexes” and everybody sighed. I thought it would be tacked onto the end, maybe as part of the Battle of the Five Armies (seriously, if you haven’t even read the book, you don’t want to be here right now). Firstly, there was a massive battle between the dwarves and the orcs – again, giving the movie context in the greater world of Middle Earth. It was bloody and violent and introduced a giant white orc. Without saying too much more, I’ll say that that orc became the bane of my existence on and off for the next three hours. What I didn’t know and didn’t care about was that Jackson has incorporated information and story from The Rise of the Dark (the story of Sauron) as well as the backstory of the dwarves. There’s also a lot of backstory for characters from LoTR, and a good chunk of White Council as well, for good measure. And I get it. Jackson is trying to link The Hobbit to the LoTR trilogy, making a much greater world out of a lot of different source material. But that isn’t The Hobbit. That story is light-hearted and small. A story of friendships and adventure. A children’s story with a wider appeal. Throughout the movie, the tone changes with no apparent reason. There is an amusing run through the goblin tunnels, completely at odds with the seriousness of the situation. There is a completely ridiculous scene involving the knees of a stone giant. There is an unscripted battle scene when the wargs and goblins have the party trapped up a tree. There is not nearly enough singing. The elves are way too serious. It doesn’t look like there will be any speaking eagles. . . I need to stop now. Seriously, screw the backstory, screw the appendices and the rise of Sauron. 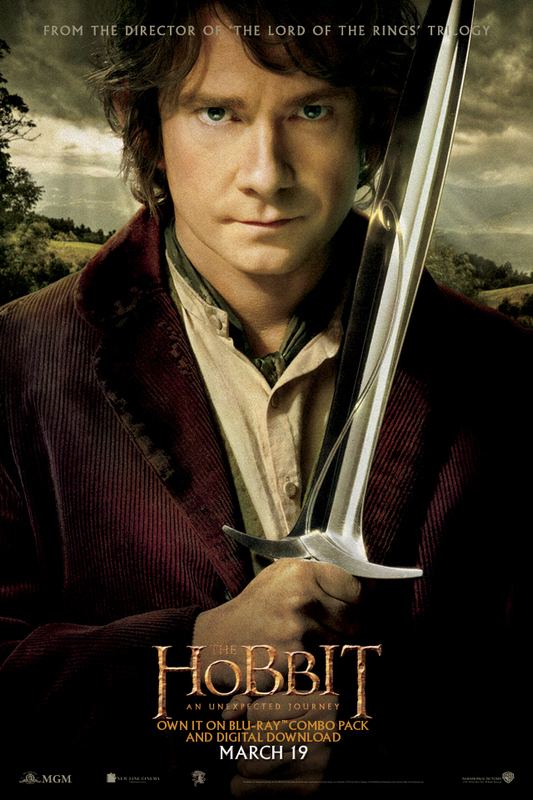 Let me have The Hobbit. Let me have my childhood. Peter Jackson, get your grubby fingers out of Middle Earth. Note: this blog is relatively free of pictures of spiders. There are definitely not any pictures of scary looking spiders. No spiders with pincers raised up and arms waving in the air. Nevertheless, the topic of the blog is pretty much spiders. So if you are too arachnophobic to read about them back off now. This morning as I climbed sopping wet out of the shower and pulled my towel off the rack, a large, creepy-looking black spider ran out of the folds and up my arm. Luckily, a combination of my sudden jerk backwards and probably the water on my skin caused it to fall to the floor where I proceeded to beat it to death with my shaving cream can. Hi, my name’s Damian and I was an arachnophobe. The little bastards scared the crap out of me. Funnily enough, my fear of spiders seems to stem from the movie Arachnophobia. Stupid Spielberg. Mum has no recollection of me being overly scared of spiders as a child, there’s no infant memory of a huge spider crawling up my arm while I’m trapped in my crib, and I never had to reach into a deep web-filled hole to unlock a secret door. And then, in Year 10 or 11, I watched Arachnophobia back to back with The Exorcist 3 at the Kyabram Plaza Cinema, and then walked home through the spider-infested streets in the dark. I didn’t sleep for a week. And slept with the light on for the week after that. For at least fifteen years afterwards, I suffered from night terrors where I would wake up convinced that the bed was covered in spiders. And the real thing held both a dreadful fascination and an incredible aversion. I did not suffer a spider to live. Let me clarify: daddy long-legs are not spiders. Money spiders are not spiders. Huntsmen, white tails and anything with a furry brown abdomen and visible eyes is most definitely a spider. And if they messed with me, they received “The Treatment”. The Treatment consisted of whatever I had in the house at the time, which was rarely bug spray. One night in North Melbourne, I sprayed half a can of mousse at an unfortunate huntsman that decided to make its home in my bathroom. I wanted to make sure that it was stuck solid before I mashed it into a paste with my sneaker. With no spider-immobilisers, it became necessary to very carefully use items long enough for me to drop if I missed killing the spider and gave it the chance to run up the weapon for retaliatory purposes. A broom would do it. I know where the saying “I wouldn’t touch it with a ten-foot pole” comes from. And I was remarkably short of 11-foot poles. Killing a spider when you’re terrified of spiders is an exercise in sheer bravery and abject stupidity. Anything can be a weapon. Usually very stupid things. I don’t want to go near the spider. I know that if I try to kill it I give it a reason to fight back. I also know that if I let it live it will crawl into my mouth while I sleep. Therefore, the lesser of two evils is me with a weapon, rather than me with an open mouth and maybe some drool. One night, when I was looking after my friend’s house for the holidays, me and my friends found a huntsmen in our room. I was sleeping on the bed. The other two were sleeping on the floor. Therefore, the spider had to go. Our first weapon was a pile of rubber bands, as the spider was up on the roof. Predictably, this had the desired effect of getting the spider off the roof and the absolutely undesired effect of having it drop down the side of the bed. Now the game was on! The hunters became the hunted. We moved the bed. The spider crawled back under the bed. We flipped the bed over. The spider headed back up the wall. I emptied a can of deodorant upon it. The masculine-scented spider dashed off to try and find some lady spiders while it was covered in manly chemicals. With a yell, I slammed a cup over the escaping arachnid. Now the conundrum is: I am holding a cup against the wall. There is a spider under the cup. There is no paper within reach. The other two are laughing at me. But seriously, screw you guys! I saved you from the spider. Now who is going to save me? Eventually they brought me a bill. We slid the bill under the mug. A spider leg was caught in the bill as it slid out the other side. It took all three of us to hold both mug and bill, crab-walk to the front door, and then, after a count-down, hurl mug, bill and spider out into the darkness. So, finally, I am apologising to my friend, who must have missed his mug and paid late fees on his bill, because there was no way I was going to go out and pick them up. I used to kill spiders, and then leave the corpses out in the open where the other spiders could see the price of trespass in my house. It was a warning: Here be death to spiders! Intruders will be subjected to hairspray and possibly set on fire. And sometimes, the spider corpse would disappear. This didn’t help my state of mind. Now, the spiders were immortal. And probably out for revenge. Various people have since pointed out that for most of my life I’ve lived with cats, and spiders make a good midnight snack for Kitty, especially when they’re laid out. Most cats can deal with a little bit of hairspray on their spider. I’m no longer arachnophobic. I don’t like spiders. I don’t tolerate nasty ones (or huntsmen, that aren’t really nasty) in my house. But having a girlfriend (and now a wife) I just can’t justify being that scared and still calling myself Lord and Protector of the home. I remember one night getting a text at around one in the morning. “Are you awake? There’s a spider in my room and I’m not going to bed until it’s gone.” I drove from Camberwell to Brighton that night, on a mission to rid the damsel in distress of her nasty monster. Going into the house, and the bedroom, I steeled myself (maybe aluminium-ed), trapped it under a glass, slipped a bit of paper underneath it, took it outside, bent over and let it loose onto the lawn, with a “There ya go, little feller!” as it scuttled away. I handed her the glass and letter, and that was the end of it. She was suitably impressed. I’ll finish up with this: one day, a few years ago, I was bitten by a white tail. My leg blew up and turned purple. I had a massive headache. I looked up the symptoms on the Internet (NEVER DO THIS) and discovered I had meningococcal and was likely to die in pretty short order. Now a little panicked, I headed to the doctor, who told me I’d been bitten by a spider and that if I hadn’t been taking steroid pills for a skin condition it would have been a LOT worse. The spider had crawled into my jeans, which had been lying on the floor, and bitten me when I put them on. So, not only have the little bastards made my life a living hell, they are now forcing me to clean up my room! Edit: Wednesday 12/12/12 (sometime after 12:12.12). On the Friday night after writing this, I went to the Moonlight Cinema to see Looper. On the way home from Dave’s place, I pulled out of the carpark, started up the street and then almost crashed the car. Staring at me defiantly, eight beady eyes narrowed, was a spry-looking huntsman, right in the centre of my windshield. Oh, and not on the outside either. I pulled over to the side of the road, put on the hazard lights (I mean, what could be more hazardous than a man with a spider in his car?) and jumped out in search of a weapon. Gone are the days when I would just abandon the car and start walking home from Port Melbourne to Ringwood. But this intrusion WOULD NOT STAND! Even on eight furry little legs. I used a squeegee. The things with a wiper blade on one side and a sponge on the other? Squeegee. The sponge is good as a blunt instrument. The blade is good for getting cocky spiders when they crawl into the crack between the windshield and the dash. With four or five cars backed up behind me, I drove off again, squeegee in hand, having driven the spider into hiding. As I drove, he ventured out onto the windscreen again. I smacked him with the squeegee, praying that the blow wouldn’t knock him off the windscreen and into my lap. I had him on the run. He made a dive for safety at the other side of the car and I collected him with a vicious sweep of my squeegee, blade first, crushing him against the window. And then I turned right across the lights, with slightly ragged nonchalance. Over the next two blocks, I kept an eye on the little mongrel. It twitched a couple of times, but by the time I hit real traffic in the city, he was stone dead. Of course, I’ve left him there. As a warning to the others.